When considering your home interior design, you must first come up with a concept that works for your taste and the look you want for your home. Some people have a difficult time working with their interior designer because they are not sure which route they want to take when coming up with a design. One of the best ways to get started is to first look at furniture and material swatches because luxurious furniture can be the start of the creation of the perfect interior design of any home. Below are some tips on what is trending right now when it comes to home designs. While in the past, leather was always considered the best type of material for luxury furniture, and to a degree it still is, it is not as popular as it once was. Before, you wanted to have every single piece in your living room to be expensive Italian leather as this was the best of the best. Today, it is more important to have a comfortable couch and loveseat that is made from materials that are more attune to sitting rather than looking at. Leather can be slippery and is often times hot during the summer months even with the air conditioning turned on. If you want to have leather, have a side chair and ottoman or even a reclining lounger for your leather piece and choose a sofa with colors that match the leather. While you can choose any material for your sofa, sometimes the design is more important as it sets the tone for the entire room. For instance, if you want a more modern interior design for your living room, then you should choose a sofa that looks more modern and then select your materials around that style. You wouldn’t put a floral brocade pattern on a modern couch so you’d need to choose strong bright and bold colors instead. If you want a traditional or even old world feel to your living room then you should create a sofa that looks more antiquated while still offering luxury. Where do Sectional Couches Fit? You really do not want to put a sectional couch in a formal living room as these are not considered to be the trend for luxury right now. You can certainly have one in the family room or casual living room as that is the purpose of this type of sofa. 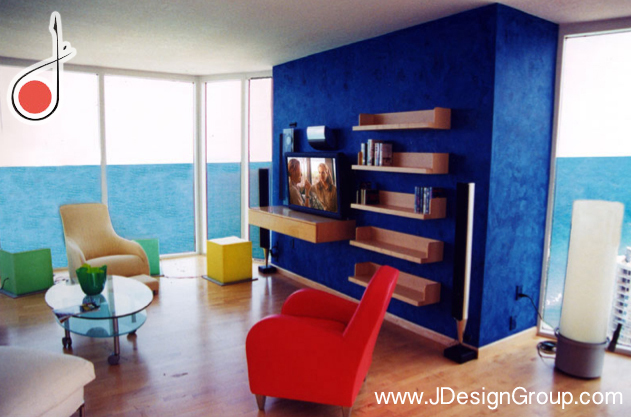 The best interior designer in Miami will tell you that your formal living room will lose its formality with any type of sectional furniture. Stick with pieces that are expensive and that are not meant to be used on a daily basis but which still offer comfort for your guests when entertaining. Sometimes when you are stuck on how to decorate a room all you need to do is look at furniture pieces in order to get an idea of what you want in your home. You can then complete the look of the room based on the pieces that you have carefully chosen. You can add in some throw rugs and artwork that enhances the furniture and is a great way to accessorize the room.